Tax Map# 53A-1-25 is .3436 acre and Tax Map# 53A--1-25B is .4056 acre for a total of .75 acre. Both parcels are included in the price and both are zoned B1 Convenience Commercial. Check with zoning dept. at the county for uses permitted by right under B1. 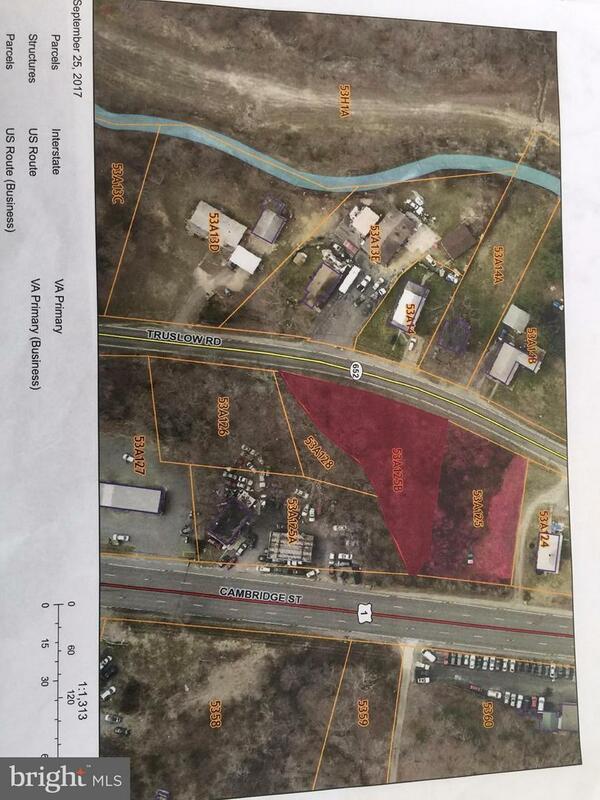 Property has 122 feet of road frontage on Route 1 (Cambridge St) plus lots of road frontage on Truslow Road. See survey plat in documents.